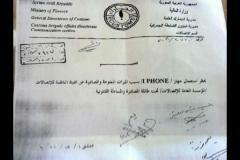 Syrian authorities have targeted the iPhone in their latest efforts to block protestor’s ability to communicate. 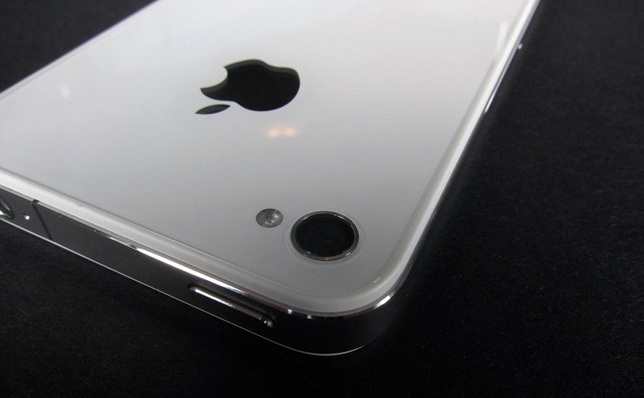 The Apple smartphone has officially been singled out for a countrywide ban. Pro-democracy activists are being served with notices by the Syrian Finance Ministry’s Customs Department which state: “The authorities warn anyone against using the iPhone in Syria,” according to a Lebanese news service named Al Nashara. Owning as well as importing iPhones is banned and the penalty is confiscation and prosecution. The Syrian government hopes to prevent activists from recording government violence against protesters. Foreign media have already been banned from covering events in the country since March. It’s not clear whether the ban extends to other smartphones with cameras, but Macgasm proposes that the iPhone was targeted due to a new application named Souri Wa Bas that helped connect and boost morale among regime fighters. The protests in Syria began early this year, escalating into a full-blown uprising in March. The people are asking for a regime change, democracy and wider freedoms including speech and assembly. According to the United Nations, since March more than 4,000 have died in relation to the protests. Syrian authorities have since used a variety of tactics to suppress the discontent electronically, including a counter Facebook propaganda movement and going so far as to enact a countrywide internet black out. “Steve Jobs must be turning in his grave on learning that his iconic device is banned in his home country,” an anonymous activists pointed out, though the Apple co-founder was born in California. However, Jobs’ biological father, Abdulfattah “John” Jandali, happens to be Syrian born. Jandali has uploaded a video to YouTube in support of the Syrian people.